Wyandotte police are investigating the death of a 55-year-old woman after her body was found inside a home over the weekend. 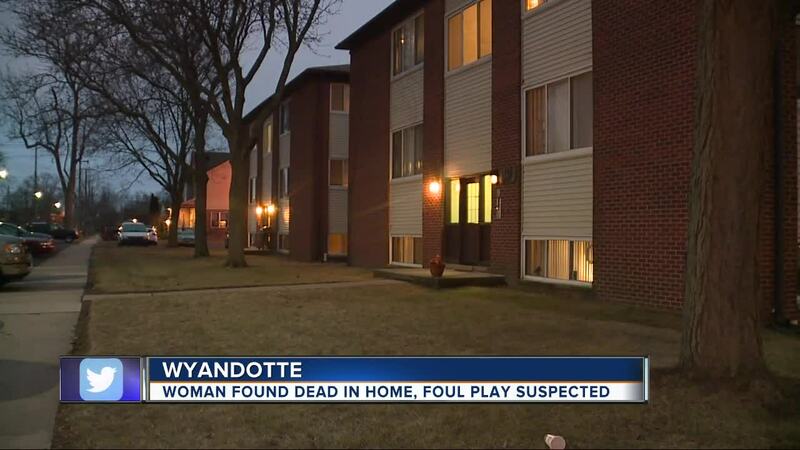 WYANDOTTE, Mich. (WXYZ) — Wyandotte police are investigating the death of a 55-year-old woman after her body was found inside a home over the weekend. According to police, it happened around 2:13 a.m. at a home on Sycamore. Police were called to the home on a domestic violence call. When they entered the home, they found the woman's body, and due to conditions of the body, police believe there was foul play involved. Police can't say who called 911, but based on evidence at the scene, they arrested the woman's 38-year-old live-in boyfriend on outstanding warrants. He is also being held as a person of interest.